There are many words that can be used for the same purpose by different users. If you are planning to go by Airbus and want to buy air tickets. I want to buy air-tickets and many more. 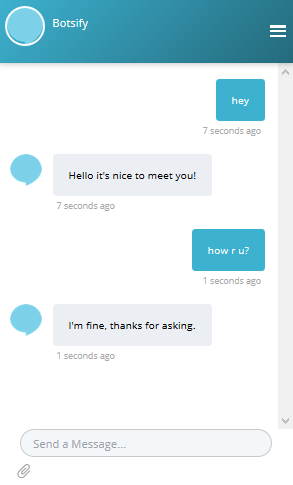 Your bot will stop responding and direct you to the human help. But for the next time if anyone would come up with the above keywords can be entertained equally. 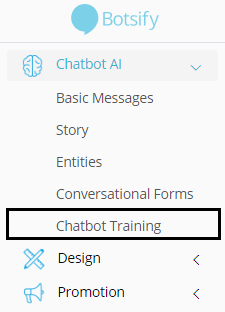 From drop-down select "Chatbot Training"
Now you will find a list of keywords your users have used. You can train every keyword to the relevant story by selecting Keyword Match, Phrase Match or Entities Match. 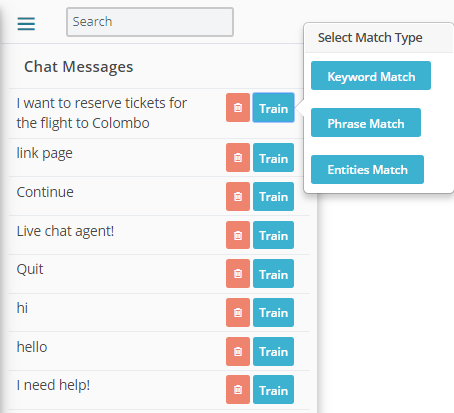 Now Select the keyword and the value you want to match your trained word against. 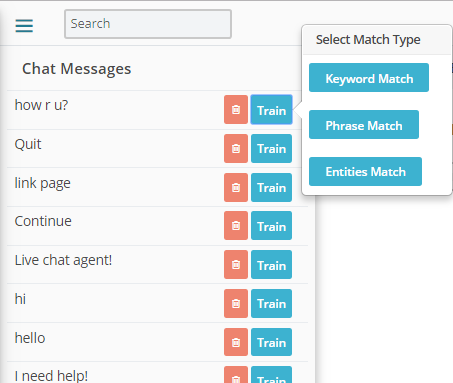 Next time when anyone comments your trained keyword, the chatbot will respond accurately. 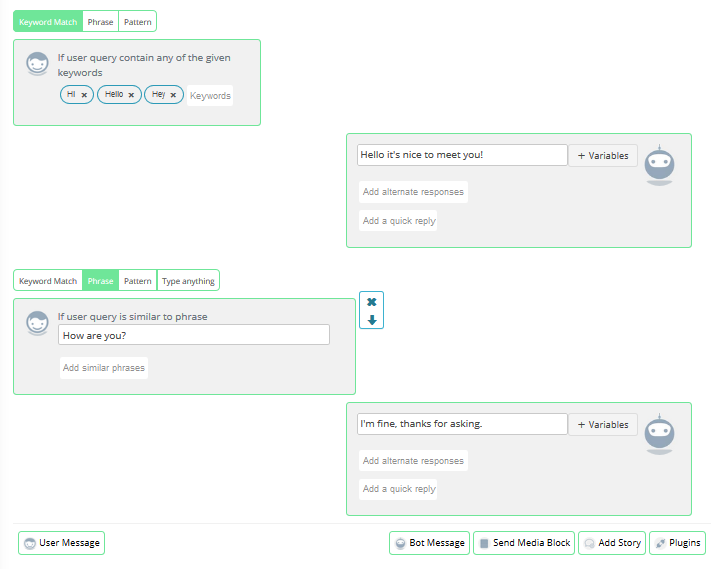 You may also integrate Conversational Form plugin to continue. 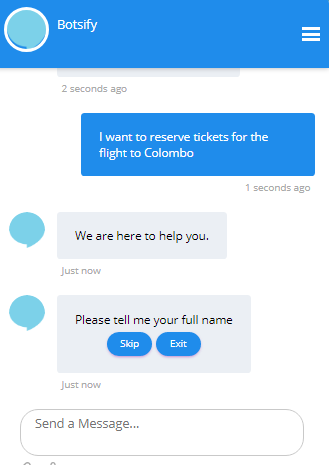 Bonus: You can also train your chatbot on phrases which occurs deep in the story. Let’s see another example which will help you understand it better. For example, We have a story in which How are you occurs after Hi, Hello, and Hey keywords. Instead of asking How are you it can be asked as How r u? You can train your chatbot accordingly. 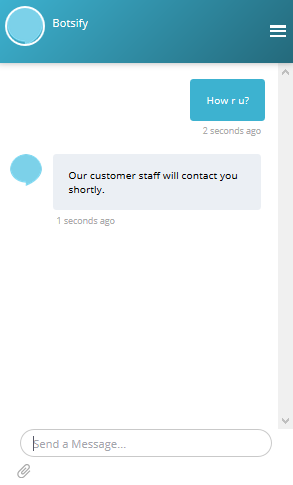 We have sent “how r u?” after greeting the chatbot, according to our flow, but Bot hasn’t recognized it and therefore displayed the failure message. This was to be expected. Now it's time to train it. Add it to the similar phrase so the next time you get the same phrase your bot can answer accordingly. Now you can post it again and test it. Note: This new keyword will only work when your user sends you the first message which initiates the story. In our case “How r u” will not work independently nor it will continue the story from where it was.